I try to make bento for my hubby for lunch. He usually packs his own home lunch, but sometimes he gets sick of having sandwiches every day so I try whenever I have time to put together a bento for him. Sometimes it’s just packing up leftovers, but he always appreciates it. 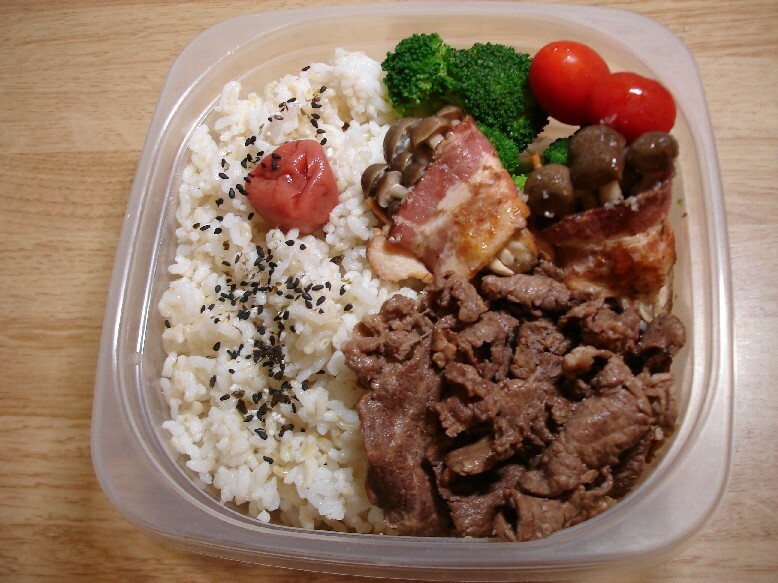 Today’s bento: teri beef, bacon-wrapped shimeji mushrooms, broccoli and tomato, umeboshi and black sesame on rice.